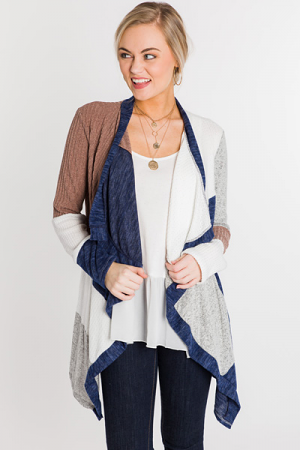 Long cardigans are our favorite way to add a cozy element of style to our look! This one is awesome with its neutral colors and bubble sleeves! 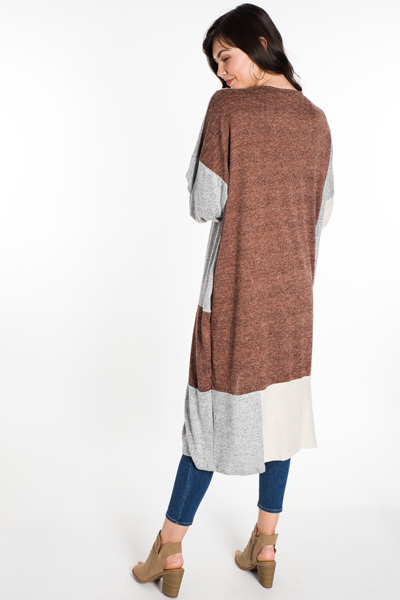 Fabric is a lightweight and stretchy rayon-blend. Length measures approximately: S/M=45" M/L=46"